A traditional wooden toy car handcrafted from chunky natural rubber wood. 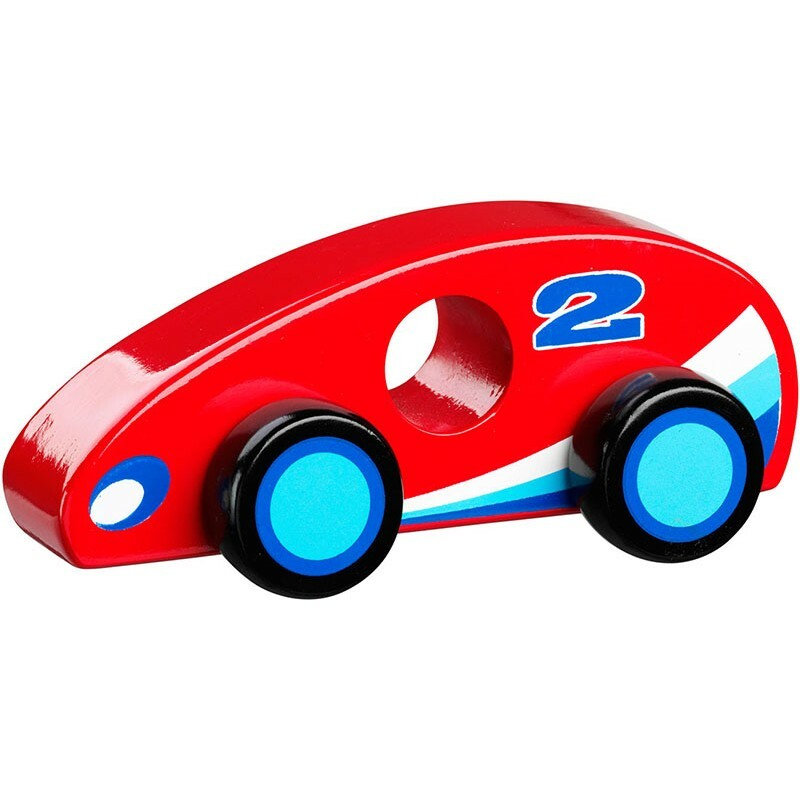 Children will love this super cool red racing car, with go faster stripes! Lanka Kade's wide range of fair trade wooden vehicles includes a police car, fire engine, tractor, train and more. Enough for any child to build their dream fleet!